Tasso Hostel - OMG Florence! Accommodation artists. Promoters of talent, innovative ideas and the Oltrano experience. A couple of minutes from the city center of Florence, Tasso Hostel is located in a creative oasis. Between the houses of the local Florentines, working craftsmen, restaurants, trattorias, wine bars and the eclectic nightlife of the Oltrarno. Tasso Hostel prides itself for practicing “an art only the few can express properly”, the ART OF ACCOMMODATION. 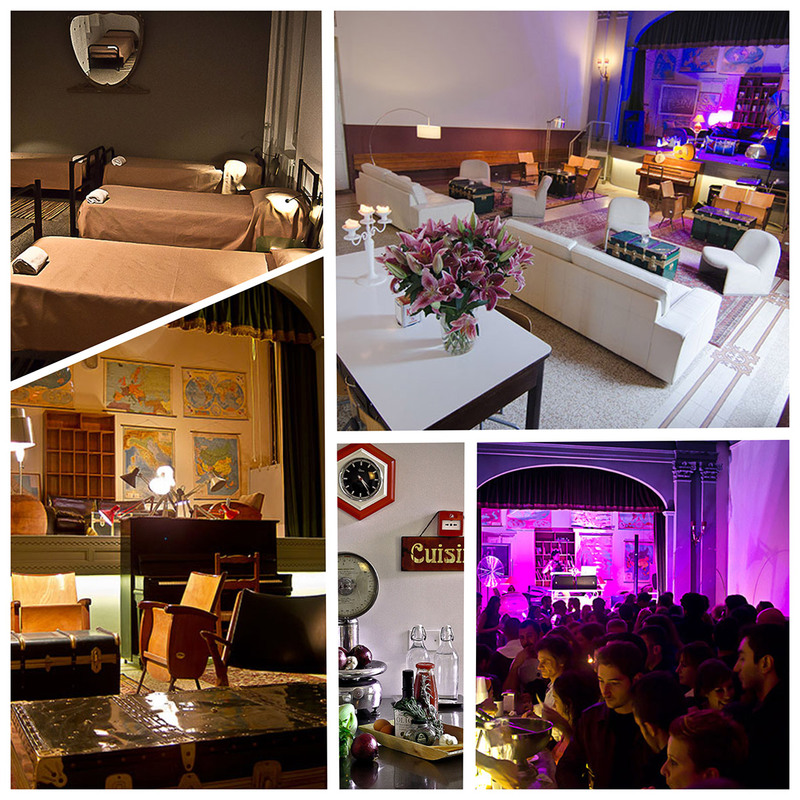 With uniquely designed rooms and excellent service, Tasso Hostel transforms a “hostel stay” into a pleasurable and playful experience, that takes place in its luxurious and spacious lounge areas, a garden, bar and theater stage. Tasso hostel believes in promoting its local and international musicians, poets, filmmakers, fashion designers and artists, with an alternative and vibrant space that embraces creative expression along with an exchange of innovative ideas. What better location to host OMG Florence events?